Do you do avoid having speak in front of people? Do you have a fear of public speaking? Do you want or need to overcome it? The experts agree the #1 thing you can do is to gain experience speaking in front of people. This means doing exactly what makes you uncomfortable. 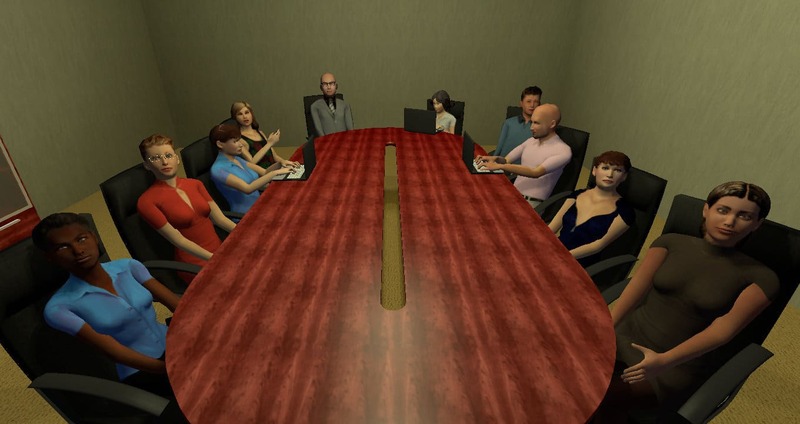 With Virtual Orator you can speak in from of virtual people and ease yourself into the situation. Afraid you will embarrass yourself? You probably are not going to embarrass yourself. Fear not, we can assure you our virtual humans will not tell anyone how you did. Our virtual audiences behave as directed, which means they will not laugh at you. I’m going to bore them. This happens when your fear holds you back. 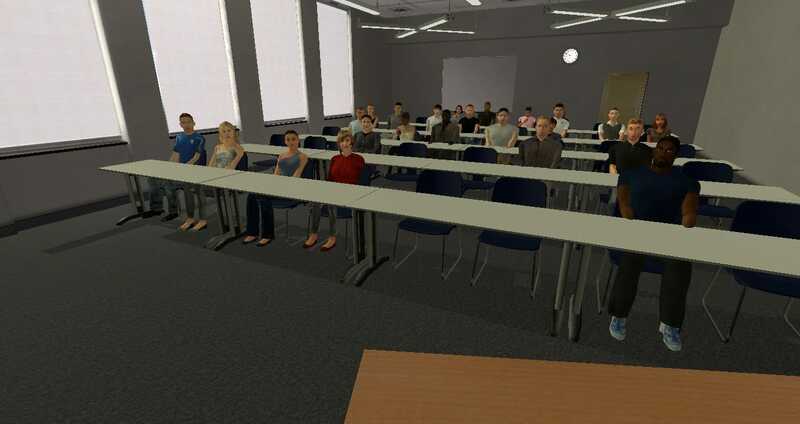 Pick a topic you are passionate about and practice with our virtual audiences. Once your fears subside, you’ll be free to talk expressively in front of people. Do you have to give a talk? Are you going to practice the talk? My family/friends don’t want to listen. We will invite you an audience for every practice. You can have a large audience or small. You have the control over how eager they are to hear you talk. My family/friends won’t listen yet again. Every time you launch Virtual Orator you’ll get a new and fresh audience. Even if a virtual human shows up more than once, they’ll be happy to hear you talk. Practice with Virtual Orator first, then you can impress your family and friends with a polished talk the first time. Ready to overcome your fear? Start simple and easy. Do a short talk (3 minutes) about a topic you know well. Maybe just about yourself. 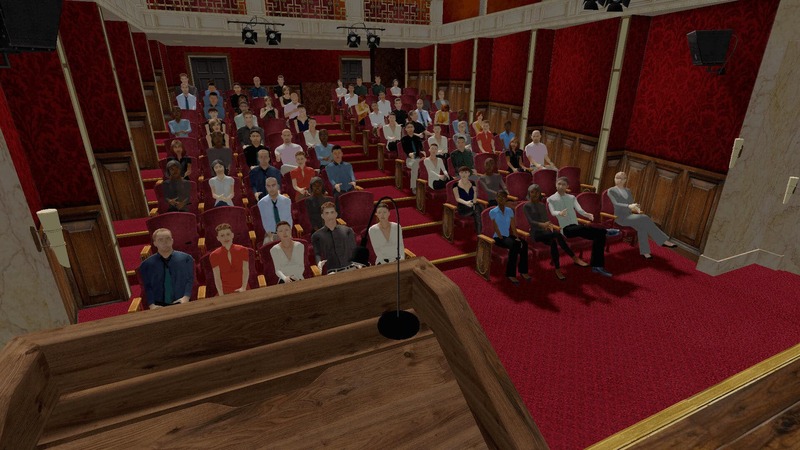 Set Virtual Orator to a friendly, easy audience. Choose only a few people. Then it is like a conversation. Use notecards to remind yourself of important points and keep on point. Bump up the size of the audience. Add a few people at a time. Give a longer talk. Virtual Orator reports how long the talk was. Check the length. Shift to a more realistic audience in the settings. Try adding the expected length. If you go over the audience will start to get anxious. Congratulations. You are overcoming your fear and feeling more comfortable in realistic situations. Now you can focus on training public speaking skills and preparing and honing presentations instead of your old fears. Your audience is awaiting for you to step on stage.